With the iPhone 5 out on the shelves, people are eagerly awaiting the launch of the pre-announced iPad mini which was scheduled to take place in October. 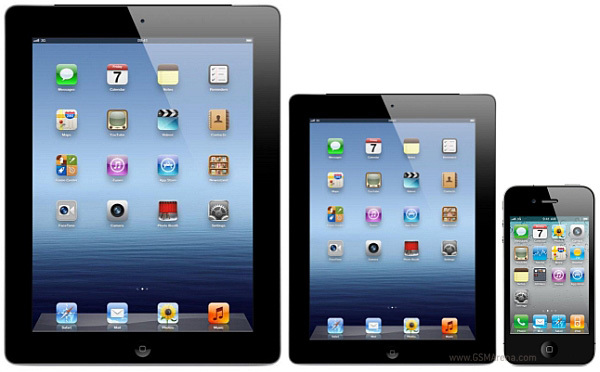 The well positioned source, Fortune, claims Apple will announce the 7.85-inch iPad mini on October 17th. The press will get invitations to the event one week prior on October 10th. The release date is scheduled on November 2, just in time for the holiday season. The iPad mini will sell like hot cakes, just like its 9.7-inch brethren, and bring some serious competition to the Google Nexus 7 and Kindle Fire versions. The device will sport a 7.85-inch screen with a 1024 x 768 resolution, and run on iOS 6. Also, an A5X CPU and 8GB of base storage are expected. It’s also expected to be extremely thin at 7.3mm and lightweight as well. The compact iPad is also said to feature the new Lightning connector and stereo speakers. The 16GB iPad Mini with Wi-Fi connectivity would launch at $299, the 32GB model at $399, and the 64GB model at $499. 0 Respones to "Apple iPad mini: to be announced October 17th, sales begin November 2nd"